See the gallery for quotes by Jennifer Grant. You can to use those 8 images of quotes as a desktop wallpapers. The process was remarkably cathartic. I'd sit and listen to my father's voice - having not heard some of these tapes for 30 years and hearing his voice laying me down for a nap, our giggles and cooking dinner - and I remembered all those wonderful days. Normal days. When I knew I was pregnant four years ago with a boy, a friend suggested I call him Cary, but I initially resisted. 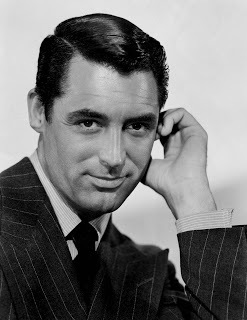 There was only one Cary Grant. But a week before he was due, I started thinking it would be wonderful to pass the name on to him. And anyway, my father wasn't Cary to me. He was Dad. When it comes to Father's Day, I will remember my dad for both being there to nurture me and also for the times he gave me on my own to cultivate my own interests and to nurture my own spirit. Cary Benjamin sleeps dreamily on my stomach as we're both bonding and recuperating. He's phenomenal. Dad was synonymous with his charm and wit and grace, and it was sort of the perfect way to go for him. He was an amazing father. I clutched my memories of him to my heart for so long, but he's a part of the world. I fell completely in love with acting. I guess I was bitten. It's not what your parents give you. It's what you do with your own stuff. To be honest, I think I'd become a bit selfish with memories of my father. I wanted to hug them close to me. At some level it's still hard for me to admit that my father died. I can talk about it and around it, but those two words. 'He died.' What can that possibly mean? That I won't get to hear his voice again? Can't blame men for wanting him. And wouldn't be surprised if Dad even mildly flirted back. Dad somewhat enjoyed being called gay. He said it made women want to prove the assertion wrong. Dad has, and had, a deservedly glowing reputation. However, this belief in 'reputation first' seems to have given rise to his fears of what might be rumored after his death. Few men in their 70s looked as good as my father did. What was his secret? Genes, maybe, since he didn't exercise or diet, and he kept a candy drawer, drank a pot of black coffee every day, and read in the middle of the night. Still, he took such joy in being a dad - and in life in general - and his happiness showed. I am my father's only child. 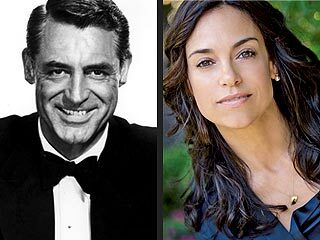 The world knows a two-dimensional Cary Grant. 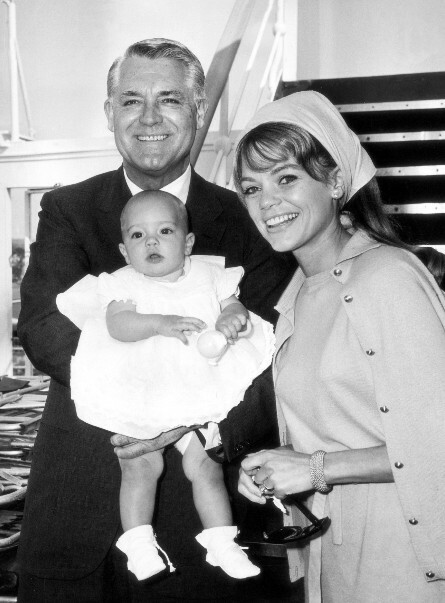 As charming a star and as remarkable a gentleman as he was, he was still a more thoughtful and loving father. I don't think I've ever seen him in a movie theater! I've only seen him on TV. Wow, that's so silly of me! We only saw one of his films together, it was with a group of people, and when he kissed Deborah Kerr, I jumped off the couch and I ran up and I slapped the screen. I was so upset that my father was kissing this woman I didn't even know! I have a lot of favorite films. 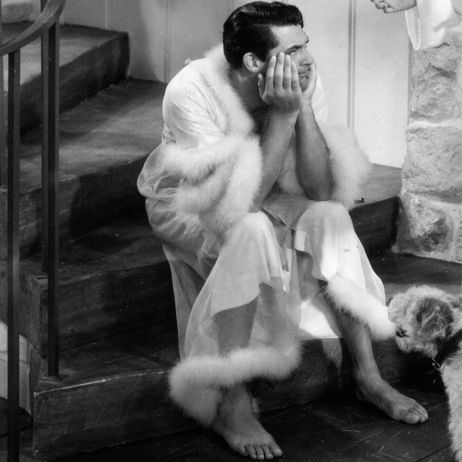 I tend to love the silliness of 'Bringing Up Baby.' 'Charade' is fantastic. 'His Girl Friday,' the banter in that, that alone made me want to be a writer. I remember going on carriage rides with Dad when we'd visit. I think quiet L.A. suited him better, but he loved to see shows here, he loved to visit his friends in the Hamptons. I remember him reading 'Sleeping Beauty,' and he would play the score by Tchaikovsky as he read it. We'd also read 'Winnie the Pooh,' and, you know, those probably that he most often read me were 'Beatrix Potter' books, 'The Tale of Jemima Puddle-Duck' and 'The Tale of Mrs. Tiggy-Winkle.' I still have at least 15 of them. I'm sure there was some part of his soul was intrinsically happy, but he probably had to go through some permutations to really get that to blossom. I'm sure Dad had his challenges, but I think that joy was there from the beginning and he had to find a way to make his life support that and express that. In my father's later years he asked several times that I remember him the way I knew him. He said that after his death, people would talk. They would say 'things' about him and he wouldn't be there to defend himself. Most men are far younger when they have their children and they're building their careers. If they are older they probably don't have the luxury of retiring - and generally sixty something-year-old men don't choose to have a child and spend all their time with that child. So it was a very unique situation. My son Cary's generation likely won't know who my father was, but it's something nice for him that his grandfather was an icon. I had one chance to pass along that name. One of the myths about Dad was that he was mean. That simply wasn't true. I always found him generous to a fault but he wasn't reckless with his money, which was rather rare in Hollywood. He'd grown up with nothing and he wasn't about to fritter it all away. Much more quotes by Jennifer Grant below the page. The best word to describe my father? Thoughtful. There was a tender quality to Dad that his sense of fun could sometimes mask. But, above all, he was sensitive and looked out for those he loved.